Construction on the £150m dualling of the Brynmawr to Tredegar section of the A465 Heads of the Valleys road in Wales will finally start early next year thanks to an injection of European funding. 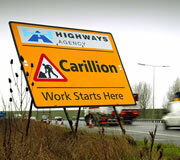 Carillion is expected to finish the scheme by 2015 to improve the next section of the 7.8km route which extends from the north of the A465 roundabout at Brynmawr to tie in with the previously improved A465 immediately to the west of Nant-y-Bwch junction at Tredegar. Carilion were appointed contractor for the project back in March 2010 under an ECI deal and will be supported by Arup and TACP who will provide engineering and environmental consultancy services respectively. European funding of £82m has been agreed towards the scheme’s costs.